It’s that time of year again. Time to take your dog to the veterinarian for his annual examination. But maybe you’re thinking that you might skip it this year. After all, he isn’t sick. Maybe you will just put it off until next year – what could it hurt? Actually, delaying an annual physical exam can hurt. Annual physical exams are an important part of providing optimal health care and the best longevity for your beloved companion. Dogs age quickly and they are unable to tell us if they are feeling a little off. Remember, it may be one year in your life but that can be about 5-10 comparative years in your pet’s life. A lot can change in that much time. Your veterinarian has special training and experience in detecting subtle illness in pets. Listening to the heart can detect murmurs. Increased lung sounds may indicate early illness. Abdominal palpation may reveal pain in certain areas, abnormal size and shape of various organs or even tumors. Checking out the eyes can detect early signs of cataract or other ocular problems. Ears may be in need of cleaning or medication. Dental disease may be detected as well as signs of allergies or skin problems. It’s easier for someone who doesn’t see your pet every day to detects lumps and bumps that you may not have noticed. Comparing annual weights, too, can determine if your dog is heading down the path to obesity or is slowly losing weight. As a dog reaches middle to old age, annual physical exams become even more important. Certain problems that you may simply attribute to “old age,” and just something you will have to live with, may be signs of underling disease and may be very treatable. Annual physical exams also give you an opportunity to ask your veterinarian any questions you may have about your dog’s health. Your veterinarian may recommend certain additional tests to determine overall health based on physical exam findings or may have suggestions for improving the quality of your dog’s life. Remember, the primary goal for your veterinarian is to keep your dog healthy and provide the best care available. A recheck examination is an appointment that allows your veterinarian to assess the progress and follow-up on your dog’s disease or problem. Maybe you are thinking you can skip it because your dog is doing better? Even if your dog physically looks and feels better, he or she may not be completely back to normal. Some diseases can progress undetected. Let your Veterinarian be the best judge of when, and how many recheck visits are required for your pet. The recheck visits to your veterinarian will depend on the medical condition your dog has. If the condition is chronic, they may require life long-term treatment as well as regular rechecks. Be certain your dog has plenty of water available at all times, and provide a place to cool down out of the sun. When the temperature drops below freezing, exercise should be limited, unless your dog is really used to this weather. This will often vary with the breed and hair coat. If you live in an area that gets cold and icy, remember that road salt can burn your dog’s feet. Don’t forget: even in cold weather, an exercising dog needs plenty of water. It’s better to exercise in the early morning or evening when the heat is and the humidity is less. The need for bathing depends on the breed of dog, his skin type and hair coat, owner preference and just how dirty your pet gets. Bathing your dog every month or two isn’t unreasonable, but some dogs will need more frequent cleanings. A good rule of thumb is to bathe your pet only when his coat gets dirty or begins to smell “doggy.” When bathing your dog, make sure to rinse all the soap out of his coat. 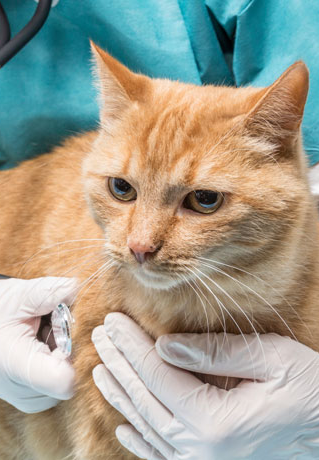 If he has persistent problems with scratching or flaky skin, he may need a special medicated shampoo or have a skin problem that your veterinarian should examine. Ears may also require cleaning, especially in dogs with oily skin or allergies. This is a delicate task and is probably best left to your vet. However, if your dog is easy to handle, you can learn to do this chore yourself. To remove excessive wax and debris from the ears, consider an ear cleaning every two to four weeks. Ask your veterinarian about products you can use at home, and be sure to ask for a demonstration of proper ear cleaning techniques. The flea is a small, brown, wingless insect that uses specialized mouthparts to pierce the skin and siphon blood. Remember that the flea spends the majority of its life in the environment, not on your pet, so it may be difficult to find. In fact, your dog may continue to scratch without you ever seeing a flea on him. Check your dog carefully for fleas or for signs of flea excrement (also called flea dirt), which looks like coarsely ground pepper. When moistened, flea dirt turns a reddish brown because it contains blood. If one dog in the household has fleas, assume that all pets in the household have fleas. A single flea found on your pet means that there are probably hundreds of fleas, larva, pupa and eggs in your house. If you see tapeworm segments in your dog’s stool, he may have had fleas at one time or may still have them. Current flea control efforts center on oral and topical systemic treatments. These products not only treat existing flea problems, they also are very useful for prevention. In fact, prevention is the most effective and easiest method of flea control. Most people are aware that their pets have worms, but just what are these worms, where do they get them and how do you get rid of them? When pet owners talk about worms, they are really talking about all gastrointestinal parasites. And there are several gastrointestinal parasites that commonly affect our dogs and cats, some of them in low numbers – so they can cause stress on the pets body without us seeing them in their stools. Roundworms are visible in your puppy’s stool or vomit. They are long and thin, similar to thin spaghetti. Coccidia are intestinal protozoa that invade and infect the lining cells of the small intestine. There are many species of coccidia and almost all domestic animals can become infected.